Our wide stock of Oil Mills/ Expeller is specifically designed for crushing different types of oil seeds such as cottonseed, groundnut, rapeseed, sunflower and mustard seeds. After filtration, the quality of oil that is obtained is supreme. All the by- products like residual cake generated from the mills is used as the feedstock for solvent extraction plant. The entire mill is segregated into different sections for proper functioning. The sections include expeller spares, expellers, decordicator, and seed cleaner and filter press. There is also a specially designed expeller within the mill for crushing mustard seeds. These expellers are equipped with chilling systems in order to get high grade pungent oil. We have the techniques that ensure refining of oil to the maximum level. In addition to this, we also offer edible oil processing plants that cover deodorization plant, oil bleaching plant, de-waxing plant, degumming plant and hydrogenation plant. Apart from manufacturing plants, we are also specialized in offering and accomplishing large scale turnkey projects for oil refining and related processes. Since last two decades, we are serving industry with quality oil mills that are best known for giving maximum output in the minimum possible time. 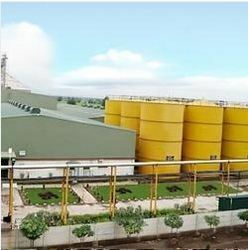 Established in the year 1986, Servotech India has been consistently pushing technology frontiers for more than 46 years, to meet the challenging demands of edible oil industry. We are a reliable name involved in taking turnkey projects for solvent extraction and processing plants for Solvent Extraction, Edible oil Refining, Oleo chemicals and various other processes. These plants find extensive application for refining of oil, solvent extraction, bio-diesel processing, hydrogen gas generation plants, caffeine extraction plant, oil mill plant, oil refining plant and more. Our range of plants and equipment is based on a spectrum of energy and environmental research that will return benefit for generations. We specialize in undertaking turnkey projects, which includes complete portfolio of services right from concept to commissioning. Our expanding technological base and association with industry giants have enabled us to successfully install more than 375 plants across INDIA and abroad countries industries. We have been certified with ISO 9001: 2008 for following a standard quality management system. Our company focuses on wealth of engineering talent to create a commercially viable solution based upon the specific application requirements of the clients. Our endeavor is to transcend beyond customer satisfaction by providing qualitative plant and result-oriented services. We also provide excellent after-sales support and services to ensure hassle free performance of the installed unit throughout the entire life cycle.